Make a one-time or recurring donation, manage your giving, view your statement, and more. Tap here on your phone to text the word Boca to 77977 and donate using your mobile device. If your generosity goes beyond monetary gifts, there are other ways to give to the church! The generosity that Jesus shows us comes in many shapes and sizes. We feel that giving should reflect the same mentality, and have setup several other ways to give. 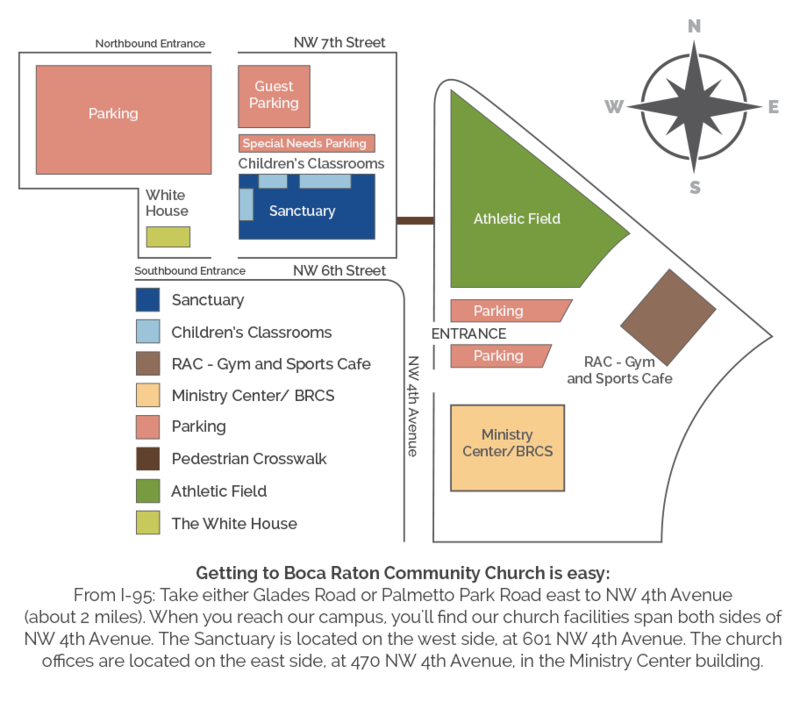 Give by requesting Church Offering envelopes from our Business Office at business@bocacommunity.org. A three month supply will be sent to your home quarterly. You may place your weekly tithe envelope into the offering plate during the service, or in any one of the offering boxes in the lobby area, or you may mail it in. Gifts of appreciated securities or stock can be one of the most advantageous ways of giving. If your gift of stock is one you have owned for more than one year, you may deduct the full fair market value of the stock as a charitable contribution, while bypassing all capital gains taxes. Please contact the Business Office at business@bocacommunity.org for more information. Gifts of appreciated real estate are like gifts of appreciated stock. Assuming you have owned the property for more than one year, you may deduct as a charitable contribution the fair market value of real estate while avoiding all capital gains. Life insurance is a unique way to give to charity. To qualify, the charity needs to become the owner and beneficiary. No incidents of ownership should be retained. If the policy is paid up, your charitable contributions is generally the replacement value or cost basis of the policy, whichever is less. Ongoing premiums paid on a gifted life insurance policy also qualify for charitable deductions. These are gifts, such as automobiles, boats, clothing, jewelry, works of art, medical supplies, etc. They may be fully tax deductible depending on the gifts. Many individuals work for corporations that match an employee’s giving to charitable organizations. Some companies will match gifts to churches for building funds and other designated projects. Please check with your company’s Human Resources Office for the proper forms. If there is a question, please contact the BRCC Business Office. An irrevocable plan is one which can not be changed, and a revocable plan can be changed. An irrevocable plan or instrument usually qualifies for special tax consideration.